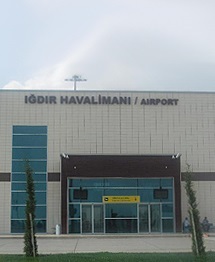 Igdir Airport, construction began in 1996, although stopped in 2001, and the project was put on hold. The openning of Igdir Airport was on 2012. The airport is only in service to domestic flights. If you require reliable, comfortable and affordable transport to and from Igdir Airport you can make a booking in a few easy steps by clicking on “Transfer Planning”. Please click for Igdir transfers.